Our practitioners offer various workshop and events, all over the world, and also online programs. Use this page to find the Feng Shui and Space Clearing workshop and certifications, Soul Coaching events and training, as well as other magical events for oracle card reading, dreaming, and celebrating the mystery and magic of life! Join Denise Linn, and her graduates from the various certification programs for this event designed to create alchemical changes in your life, using ancient secrets, such as space clearing, feng shui, oracle card reading and much more. This two day event featured Denise as Keynote speaker on Saturday morning, with a special Saturday evening event open to all conference participants. The day is filled with targeted topics, designed to educate and enrich your life. On Sunday, Meadow Linn’s keynote speech and our speakers continue with empowering and uplifting content. 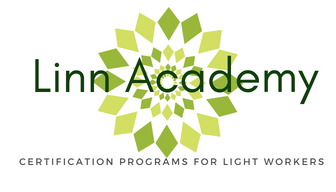 For those who are students or graduates of any Linn Academy program, there will be special opportunities for you to connect with your peers, and network with other professional practitioners. Anything from Clutter Clearing, Dreaming, Oracle Card Reading, Sacred Feminine workshops and much more!